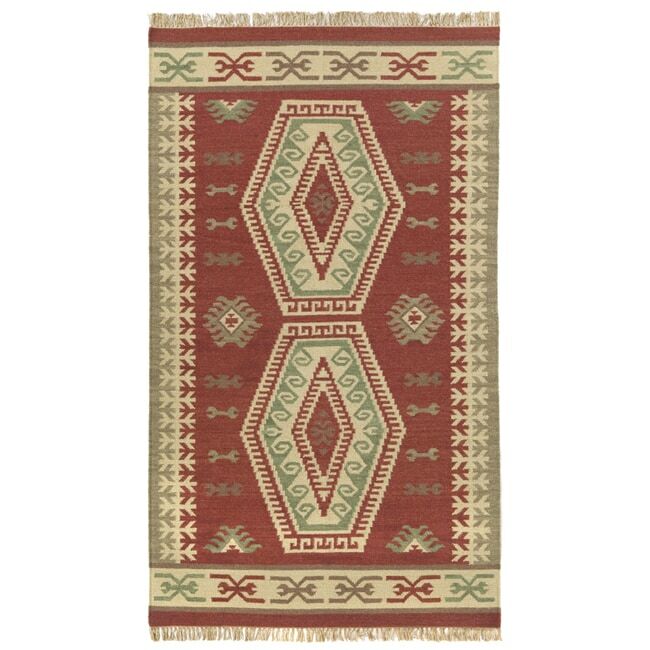 This is a sturdy rug that has lasted us a few years without rips or unraveling. It's not soft--the wool is flat-woven (thin) and it has jute in it which makes it a little rough. The only thing that isn't my favorite (and I didn't really notice this in the pictures) is that some of the design look like little wrenches...just a little weird thing people sometimes notice. 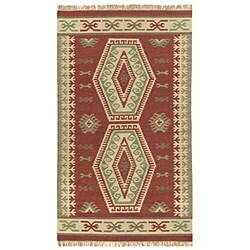 I put this rug in a bedroom at my mountain cabin....love the colors! I love how this rug looked and it was heavy and didn't slip at all. The big problem was that the red bleeds on light colored carpet, beware using this on anything but hard wood etc floors. It bled around the borders of my mat! This rug is well worth the money, and the shipping was unusually fast for Overstock.